How can I Extract PMID only for a query in a text file while searching it on NCBI pubmed? Where can I find verbose explanations of GO terms? 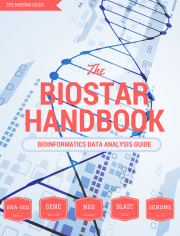 Best book for (practical) Next Generation Sequencing Bioinformatics? What Is Your Approach In Finding, Managing And Categorizing Bioinformatics Literature? How Do You Generate/Obtain The Citation Block From A Given Paper? What Features From Publishers Would Help Bioinformatics Folks?